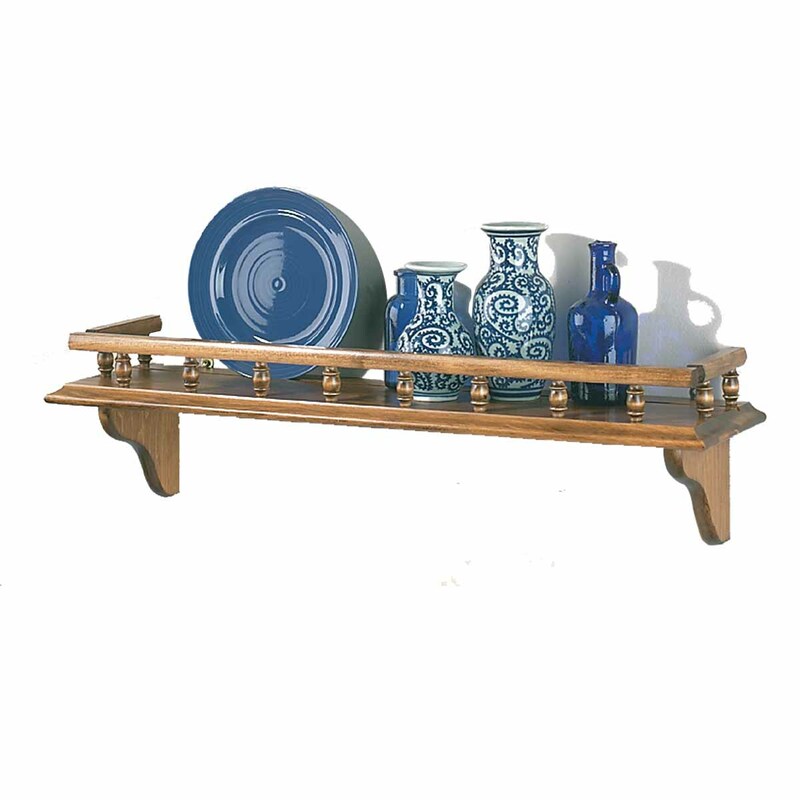 Ceramic Shelf. Select your Shelf here now. Solid pine Kitchen Shelves with hardwood spindles. Solid pine with hardwood spindles. This shelf is 7 1/4 high, 28" long, and 7" deep. Antique finish, refer to sample below.